The Edison Innovation Foundation rebrand centers on two goals: to modernize Edison’s image and drive contributions to preserve Edison historical sites. 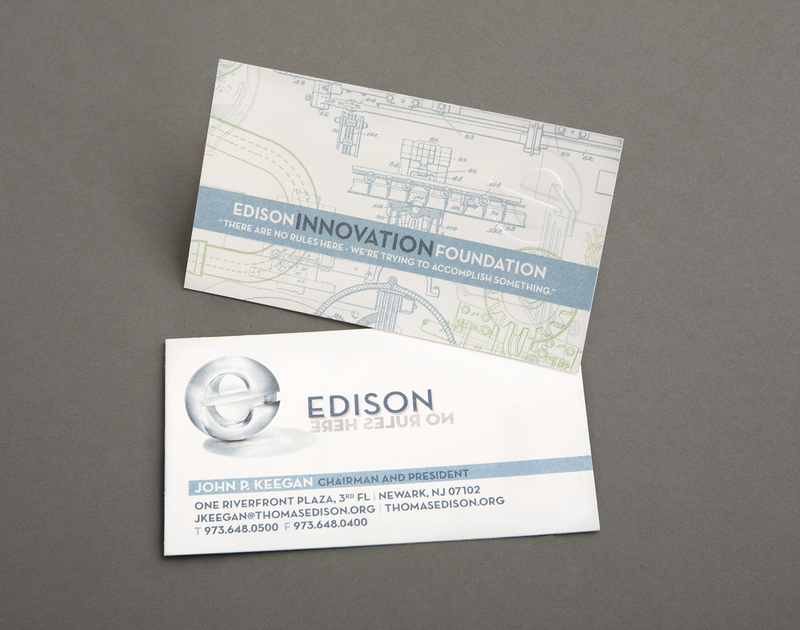 The project encompasses a reworked logo and overall look, as well as a map of Edison’s entire portfolio, from pdfs of his inventions to movies and photography of Edison himself. The most comprehensive source of Edison information online, the rebrand gave the foundation a look and features befitting its innovative namesake. Stationery, business cards, envelope featuring the updated branding. Closeup of business card featuring the updated branding.